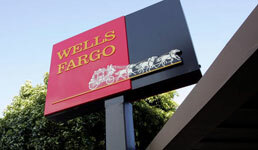 After years of regulatory scrutiny into its sales practices following the 2016 bogus account scandal at its bank, Wells Fargo has announced Tim Sloan is relinquishing his role as CEO of the company, effective immediately. Sloan, who took the helm in October 2016 following the scandal, is retiring effective June 30, but he’s stepping down as CEO, president and board member effective immediately, Wells Fargo says in a press release. He had been with the firm for more than 31 years, Wells Fargo says. The board has elected C. Allen Parker, Wells Fargo’s general counsel since early 2017, to serve as interim CEO, president and board member while the company looks externally for Sloan’s replacement, according to the press release. “Although we have many talented executives within the Company, the Board has concluded that seeking someone from the outside is the most effective way to complete the transformation at Wells Fargo,” board chair Betsy Duke says in the press release. Thursday, she said the firm still hasn’t contacted any potential candidates, according to the Wall Street Journal. Replacing Sloan with Parker and extending the search for a permanent replacement outside the firm is a departure from previous management practices for Wells Fargo, according to the paper. Critics have said having executives with decades at the firm lead the company prevented it from resolving serious issues, the Journal writes. Parker, meanwhile, was hired from outside the firm following the 2016 scandal, according to the paper. That year, Wells Fargo settled with regulators for $185 million over revelations that thousands of its retail bank employees opened millions of accounts with client authorization, and similar problems, in part caused by aggressive quotas, have emerged in other parts of the company, including its wealth management unit. A few days ago, Wells Fargo announced the appointment of Tim Traudt as interim head of wealth management starting in April, replacing Jay Welker, who announced his retirement from the firm in November. Meanwhile, Sen. Elizabeth Warren, D-Mass., who’s been calling for Sloan’s ouster, tweeted her approval, according to Bloomberg.